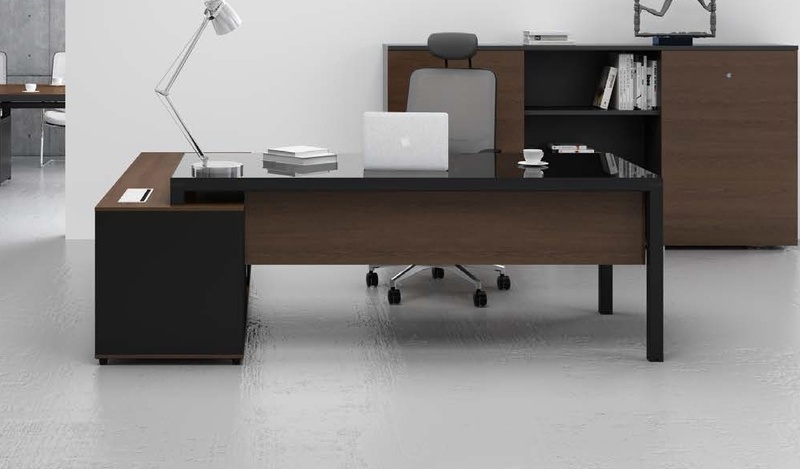 A contemporary 6 feet office desk with side credenza. Finished in yellow oak natural would veneer combined with dark gray laminate and black metal legs. Includes inbuilt wire management system with a socket box for power, data and voice connectivity. 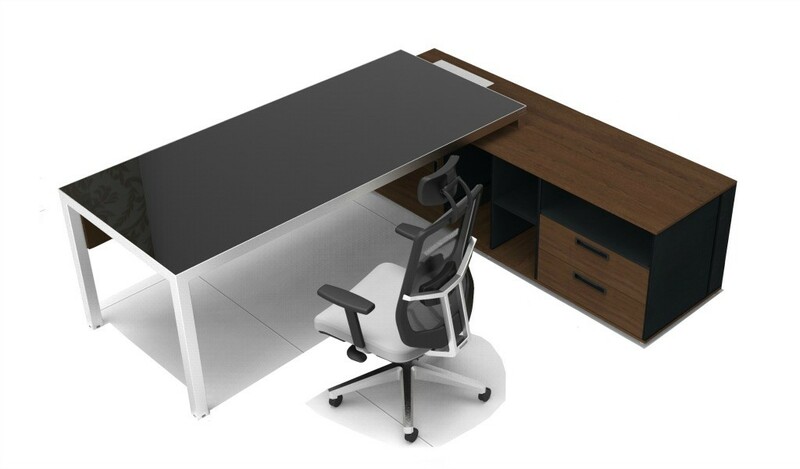 A modern desk for modern office. 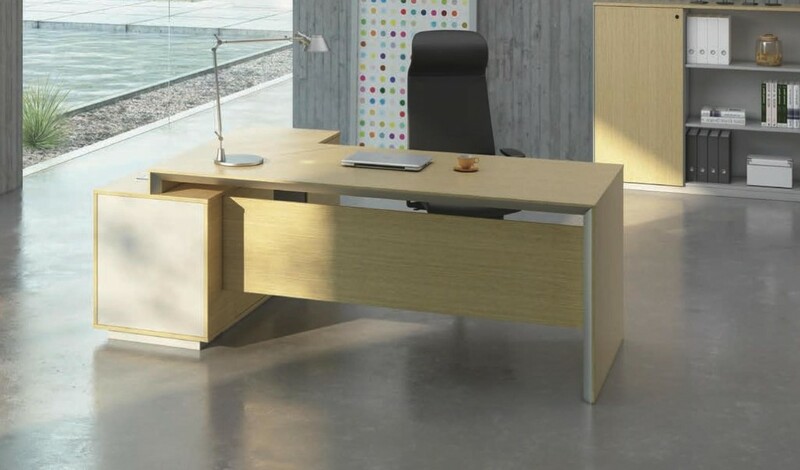 – This office desk looks best in its original yellow oak as seen in the picture. 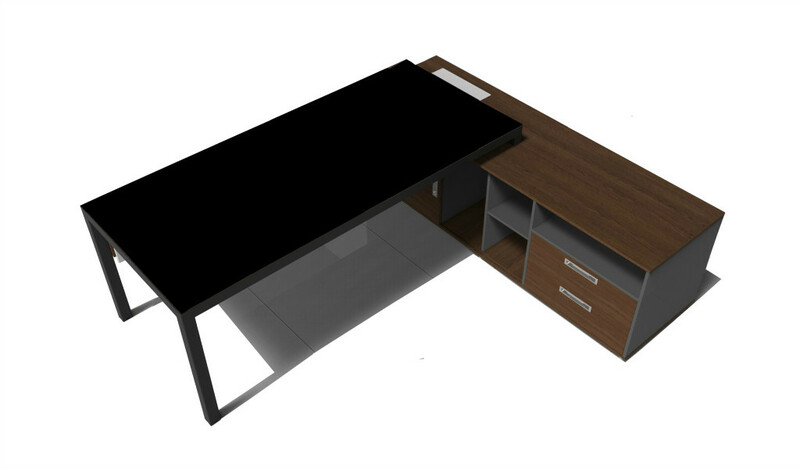 – A 6 feet office desk suitable for cabins 125 sft or more. 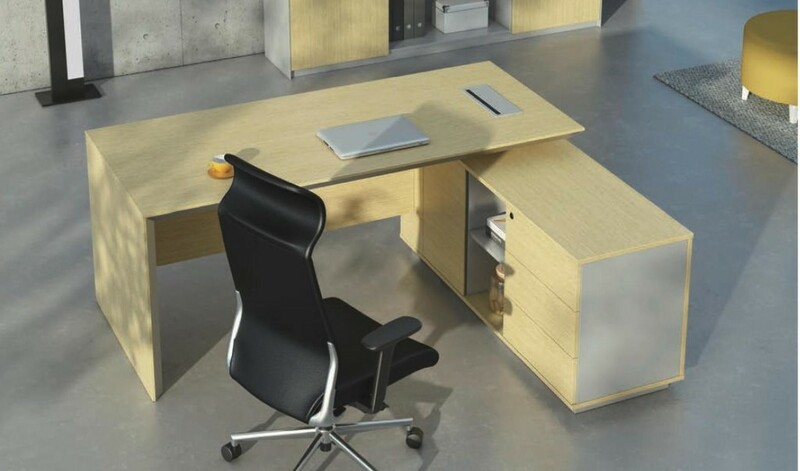 – Office desk and side credenza with a wire box for power and data connectivity. 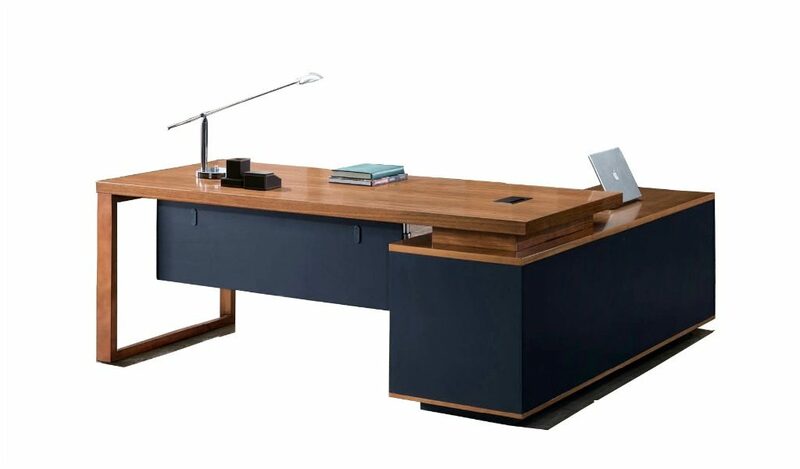 – A six feet office desk with side credenza in yellow oak veneer. Includes a wire box and modesty panel in solid gray laminate. Designed for small and medium size cabins this veneer finished table is crafted with the highest quality E1 grade MDF wood and oak veneer for lasting durability, natural feel and luxurious looks. 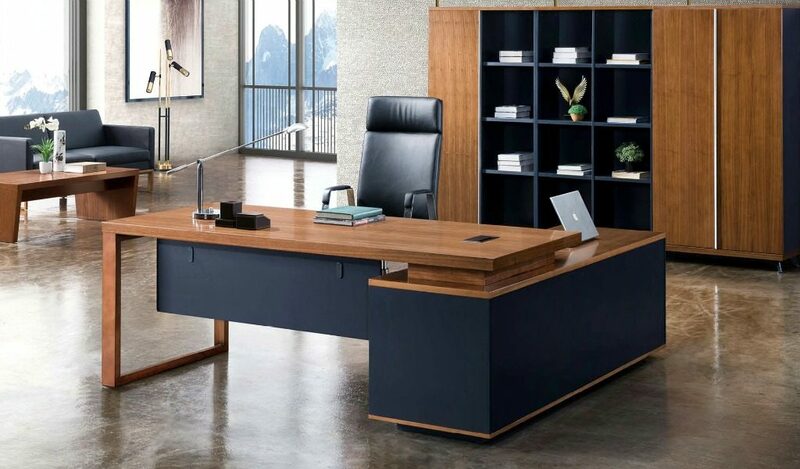 It is part of the Beck series from which you can choose an entire range of matching office cabinets, larger office desks, conference tables and workstations to create a complete office. Click here to see and download the Beck series catalog.